Drew Barrymore’s FLOWER Cosmetics line is an affordable way to build a great makeup look. The products are very innovative, but also work very well. FLOWER That’s So Kohl! Kohl Eyeliner in Tell Me No Lilacs ($7.98 USD) Kohl It! This super luxe and creamy kohl eyeliner glides on effortlessly for the ultimate color payoff and intensity. Create the ultimate smokey eye with a built-in velvety, suede-like smudger that allows you to easily create a smokey eye; build, blend, and smudge to perfection. Medium-to-High coverage ensures the ultimate intense eye effect that will last up to 12 hours. Use the “Illu-min-eye-zer” to illuminate the eyes for a fresh, bright, look. Paraben-free, talc-free, phthalate-free, GMO-free and sulfate-free. What I think: I used this liner to give my friend a bright smoky eye for a wedding she was going to. It was gorgeous alone, but also really nice with the palette below. Add a bit of the Pink or Gold shimmer over it or add the black for a darker look. FLOWER Shadow Play Eye Shadow Quad in From Dusk Till Dawn ($8.98 USD) — From the new cosmetics range by Drew Barrymore, the Flower Shadow Play Eye Shadow Quad offers four gorgeous shades with color that blends evenly and flawlessly on the eyelid. Ginko biloba extract makes lids soft and supple. It smoothes and brighten delicate eyelids and gives a luminous finish. What I think: Such a pretty palette! It can give lots of different looks, soft daytime looks and glamorous night looks. Plus, it’s long lasting when used with an eye shadow primer. FLOWER Zoom-In Ultimate Mascara in Black ($7.98 USD) — Transforming lashes to appear dramatically longer, fuller and defined, this mascara has a unique adjustable brush that twists into 3 different shapes (on the right side of the photo) to let you customize lash volume and length. D-panthenol helps to smooth lashes and stimulate growth while rice wax provides smudge-proof color. Contains a naturally derived gellifying agent for ease in application. Ophthalmologist tested. What I think: This is an interesting mascara. The more you turn, the shorter and twistier the brush becomes. When it is at is longest, it gives length and the shorter it gets, the more volume. I use two coats, length, then volume and my lashes look amazing! FLOWER Transforming Touch Powder-To-Crème Blush in A-coral-ble ($12.98) — An exclusive, innovative formula that features exclusive “Liquid Powder” Technology which transforms loose powder into a crème by simply applying to the skin. The result is a flawless, airbrushed, soft-focus effect for face & cheeks. Pigments are encased by “Hydrophobic” powder and give a non-messy, mattifying, medium coverage. It is infused with essential oils to hydrate the skin and sets a quick and non-tacky finish. What I think: Another cool product! I have used cream-to-powder blushes before, but not powder-to-cream. A little goes a long way with this product. I use it with a brush and blend it in well. So pretty on, and long-lasting. FLOWER Kiss Stick High Shine Lip Color in Baby Buttercup ($6.98 USD) — A hero product, this high-shine luxury lipstick is infused with emollient oils to help improve shine and allow for a rich, creamy application. It will leave your lips with a pure, intense color payoff. What I think: I usually favor lighter colors, and this is perfect for me all year round. 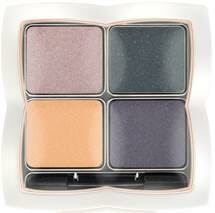 I wear it with softer makeup in the spring, shimmery summer makeup and bold and darker looks for the fall and winter. It’s super creamy and lovely. LOVE! Have you tried FLOWER? Leave a comment and let me know! Next postThe Today Shows Jill’s Steals and Deals REN Skincare’s Essential Indulgence Collection for 10/14/15 Only! I received lots of compliments on my bold smoky eyes at the wedding. I really liked how long it lasted which was at least 12 hours. I will be trying other Flower cosmetics.